Nauticos, LLC – Devoted to the exploration of the deep ocean, specializing in underwater navigation, search analysis, and at-sea operations. Late December 1942 saw the evacuation of Manila, and Allied forces led by General Douglas MacArthur were in full retreat down the Bataan Peninsula. By January, just weeks after the Pearl Harbor attack that started the Pacific war, the situation in the Philippines was dire, with remaining forces preparing to make a last stand on the island fortress of Corregidor. The 13,000 American and Filipino troops and thousands of fleeing civilians were desperate for food, medical supplies, and ammunition. A particular need was anti-aircraft shells to stem the deluge of bombs falling on Allied positions. A naval and air blockade prevented supply ships from approaching, so the Navy called on the submarine force to help. 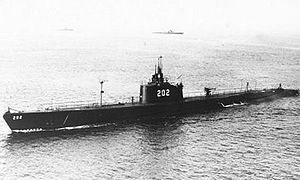 USS Trout (SS-202), commanded by Mike Fenno, was loaded at Pearl Harbor with 3,500 rounds of vital munitions, and slipped into Manila Bay on 3 February under cover of darkness. Weaving a winding passage through a minefield, the boat reached the docks and quickly unloaded her cargo. Having removed most of her ballast and even torpedoes to make room for the cargo, Fenno had a problem: he needed to add weight to be able to submerge. He drew ten torpedoes from the stocks salvaged from the base at Manila, and 27,000 gallons of fuel oil, but was still over twenty tons too light. He requested twenty-five tons of sandbags but was denied, as sandbags were a precious commodity on Corregidor, used to construct defensive positions. The defenders offered an alternative, something very heavy that was quite valueless to them: twenty tons of gold and silver that had been removed from Manila banks to the island fortress for safekeeping. Hurrying to finish before dawn, solders and sailors loaded several hundred burnished yellow bars of gold, weighing about forty pounds and valued (in 1942) at $23,000 each. Of course, to the defenders at Corregidor, they were worthless. To the six tons of gold was added heavy sacks of silver pesos, each containing a thousand coins and together weighting eighteen tons. The $10 million ballast was carefully inventoried and a receipt was presented to the captain. Fenno hastily signed it, adding a note that he had not been able to personally verify the tallies. 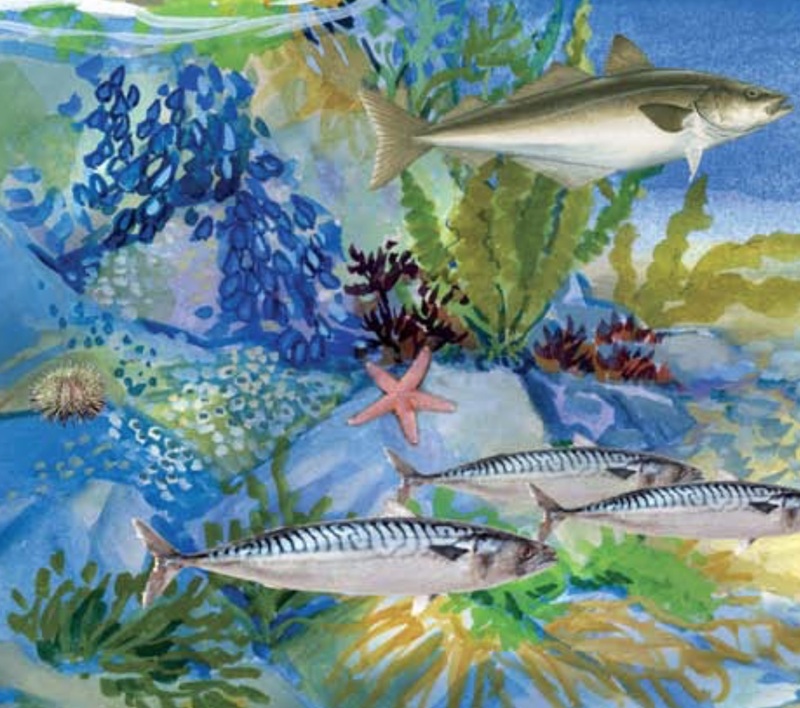 Hastening to sea before daybreak, Trout submerged and spent the day quietly resting on the bottom. The next evening, she rendezvoused with a patrol boat that delivered a final load of mail, securities, and other items. 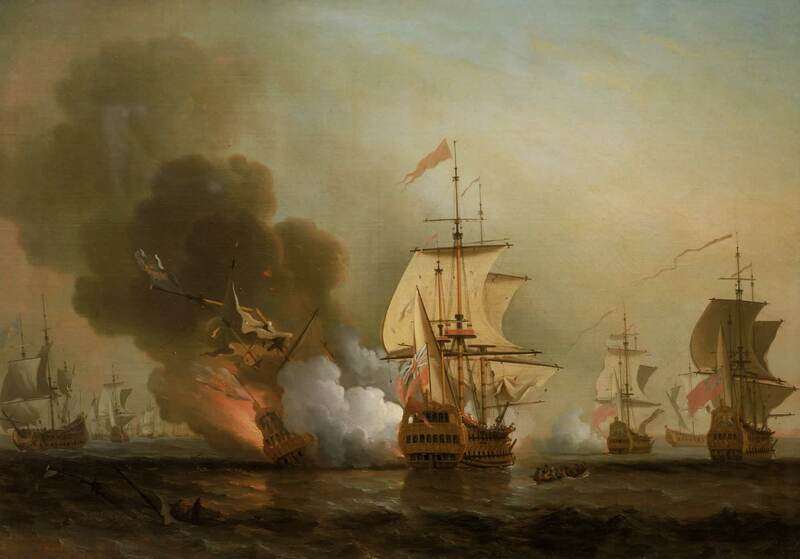 On the return voyage, regardless of the unique cargo on board, the submarine reverted to its war patrol mission, attacking several ships and sinking a freighter. 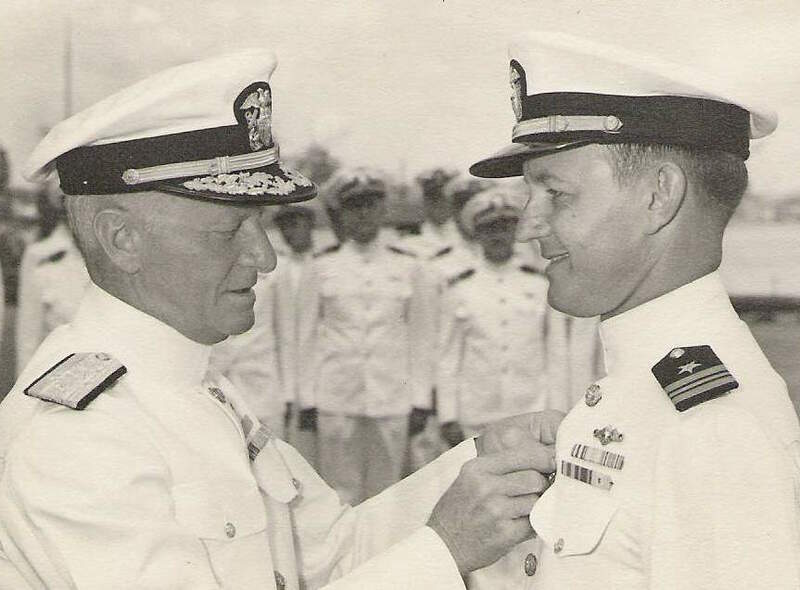 Upon arrival back at Pearl, Fenno was hailed a hero and awarded the Army Distinguish Service Cross. But he had a problem. According to the inventory, one gold bar was missing! An inch-by-inch search of the ship uncovered the misplaced bar in the galley, where one of the cooks claimed he was using it as a paper weight. 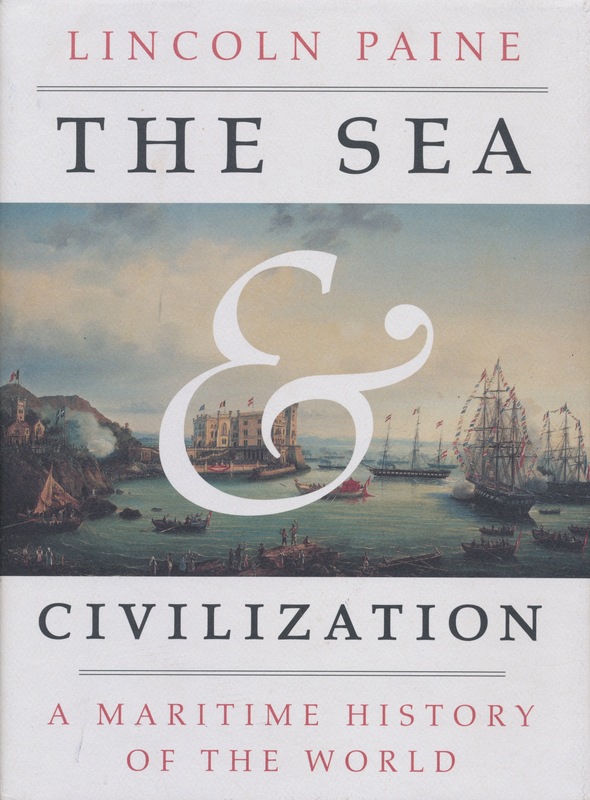 Portland Maine author and historian Lincoln Paine’s award winning opus The Sea & Civilization: A Maritime History of the World (Knopf, 2013) starts at the beginning of man’s quest to use the world’s oceans and rivers for exploration, commerce, and warfare. From the first venturing of humans into Oceania, through the Roman Empire, world wars, the nuclear age, and everything between, Paine strives to “change the way you see the world” by focusing on the patterns of history shaped by the seas. Among the book’s 600 well-footnoted pages are many interesting vignettes of people, places, ships, and events, including a mention of Kyrenia II, the replica trading vessel fashioned after a 4th-century BC Greek merchant ship. Nauticos helped build a second replica, Kyrenia Liberty, that sailed in the 2004 Olympic Games opening ceremonies in Athens. Nauticos also discovered another ancient shipwreck along theorized trading routes discussed in Lincoln’s book. It is often intriguing and profitable to relate historical accounts to current events, and Imperial Rome is fertile ground for such comparisons. Paine mentions that a few Romans of that era were extraordinarily wealthy. The philosopher Seneca was said to be worth 300 million sesterces (bronze coins), and Pliny the Elder upwards of 400 million; by comparison, one could buy two loaves of bread or a jug of wine for one sesterce, or a donkey for 500. It seem that the “top 1%” is hardly a new phenomenon. Nor are trade deficits. Pliny complained of the 50 million sesterces a year flowing to Asian markets via maritime trade from wealthy Romans who enjoyed luxury items such as jewels, ivory, silks, and spices. The emperor Tiberius considered curbing this hemorrhaging of cash by imposing a tariff of sorts in the form of “sumptuary” laws that sought to limit private expenditures on certain items. In the end, nothing was done and trade continued unabated. These and other fascinating tales of history await a reading of Lincoln Paine’s remarkable book. Nauticos explorers during the 2017 Eustace Earhart Discovery Expedition enjoyed a rare opportunity to have a few minutes’ radio contact with members of the International Space Station via amateur (Ham) radio. (Incidentally, the astronauts on ISS were the closest humans to the explorers on the research vessel Mermaid Vigilance when it passed overhead about 250 miles up … compared to island inhabitants over 800 miles away and Honolulu about 1,600 miles distant!) Read more about this in Meridian Passages. 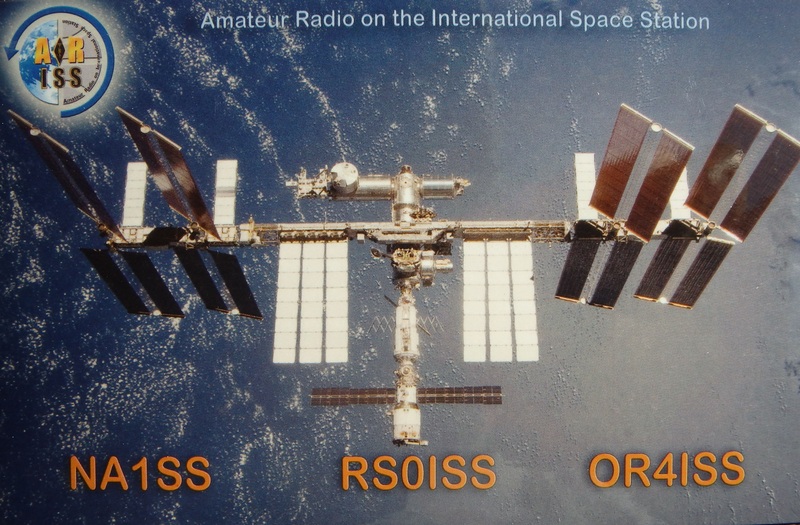 It is customary among Hams to follow up contacts with “QSL” cards, basically a post card that confirms one amateur radio station’s contact with another amateur radio station. Tom Vinson (call sign NY0V) recently received a QSL card from astronaut Astronaut Shane Kimbrough (KE5HOD), shown here. The ISS crew kindly took time out of their VERY busy schedule on two occasions to talk to us, conversations lasting less than 10 minutes as the ISS in low-Earth orbit dropped below the horizon as quickly as it appeared. 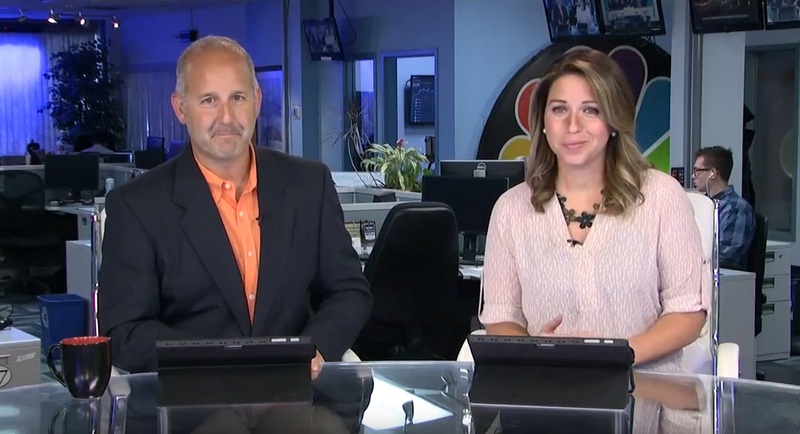 A custom-built antenna was hand-pointed at the Station as it flew by. During those times various members of our team spoke with Kimbrough, Peggy Whitson, and Russian Cosmonaut Sergey Ryzhikov (with our Ukrainian crew members, in Russian!) 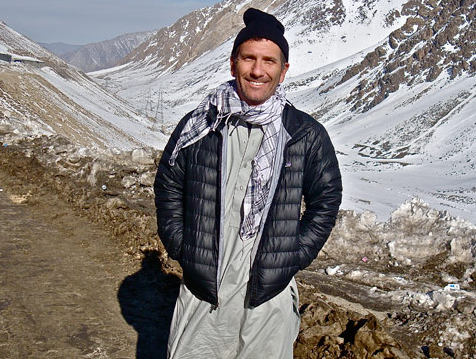 It was a special and unique priviledge to connect explorers beyond the top of the biosphere with those working at its bottom. 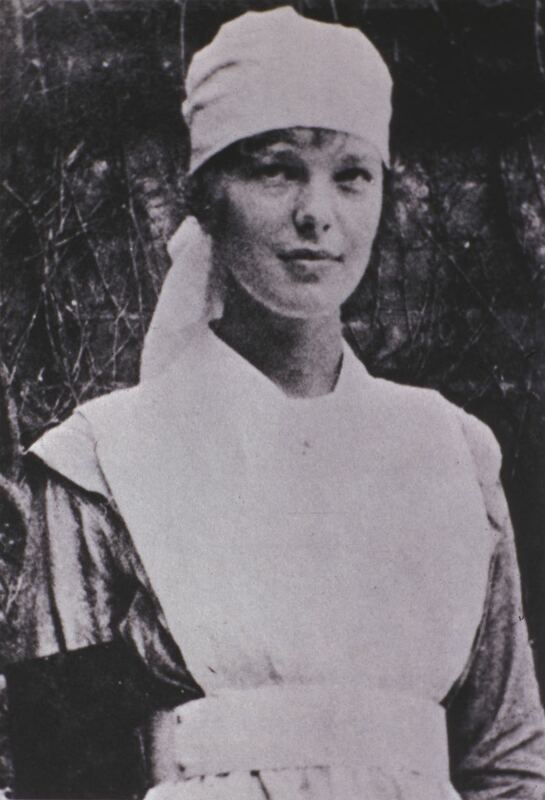 As many of you know, Amelia would have been 120 years old this week, had she flown off course, crashed on a reef, was captured and jailed as a spy, escaped to New Jersey via the Witness Protection Program, faked her death, moved to Florida, and discovered the Fountain of Youth. We can’t prove that none of that happened … yet! Please read the rest here. Meanwhile, we’ll keep trying! 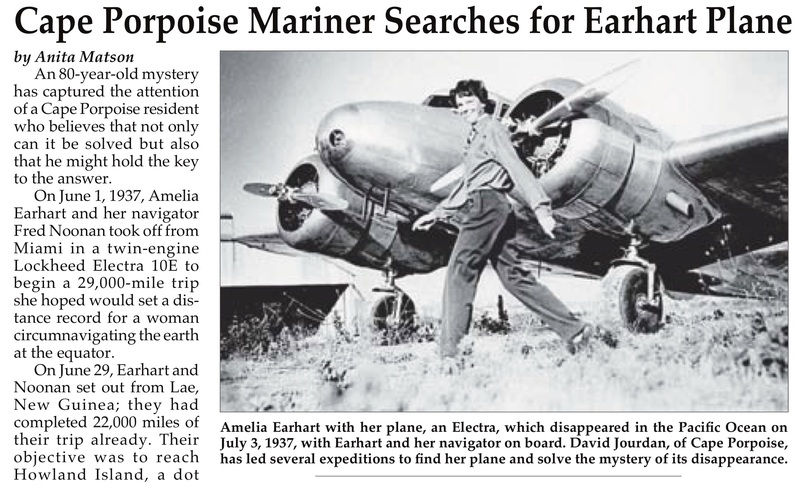 There is a lot of Earhart news in the air between a dog-sniffing expedition and the photo that has surfaced suggesting that Amelia & Fred were captured and sent to Saipan. The former is comical. All we can say about the photo is it’s hard to fit with any real data, which clearly shows Amelia’s Electra to have been in the vicinity of Howland Island, the pilot sending increasingly desperate messages as she searched for her landing spot, running out of fuel. 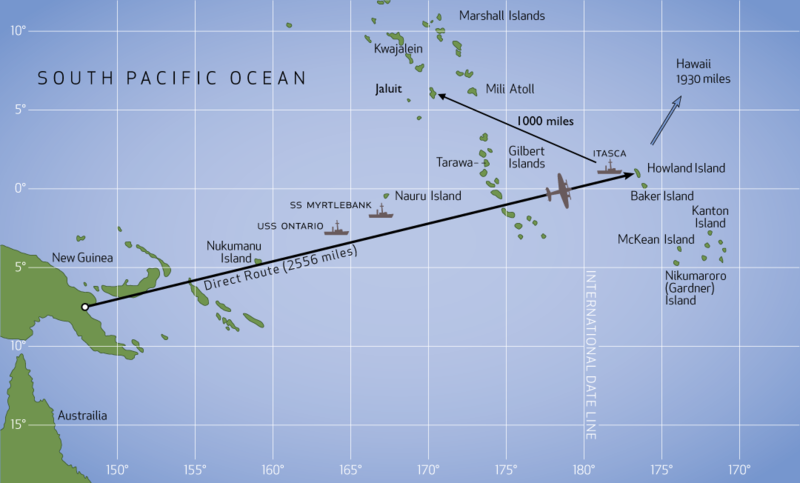 To have them actually at Jaluit atoll, over 1,000 miles to the northwest, one would have to assume that the Coast Guard and other elements of the government were in cahoots to fake the reports and radio transcripts. And it had to extend to all levels, as we interviewed the last surviving member of the crew, a cook, who said he heard the words coming from the radio room! Of course, that’s what the conspiracy theorists presume. The article points out that the photo was taken in the 1940’s, long after Amelia and Fred were supposedly captured and taken eventually to Saipan, where (as the story goes) they died in prison in 1939. Note that the “captives” do not look like they are being guarded and are not wearing the same clothes as Fred and Amelia when they took off from Lae. I have been to Saipan and visited the jail there and talked to a historian who interviewed one of the jailers of the era. He said no Caucasian women were there during that time. Of course, we’ll be among the first to congratulate anyone who comes up with real evidence. 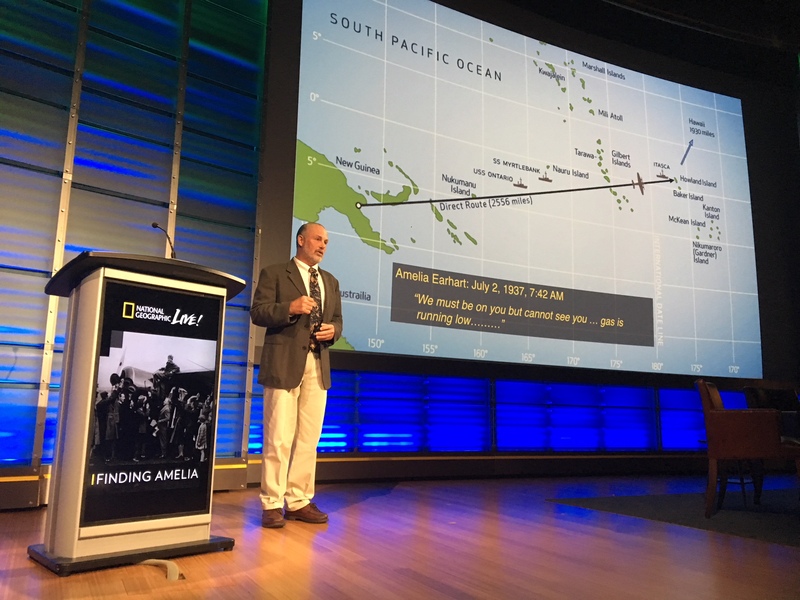 Meanwhile, we’ll continue the search for Amelia’s Electra in the deep waters off Howland Island, where we believe she went down.